I just heard about this product and I had to share with you!! 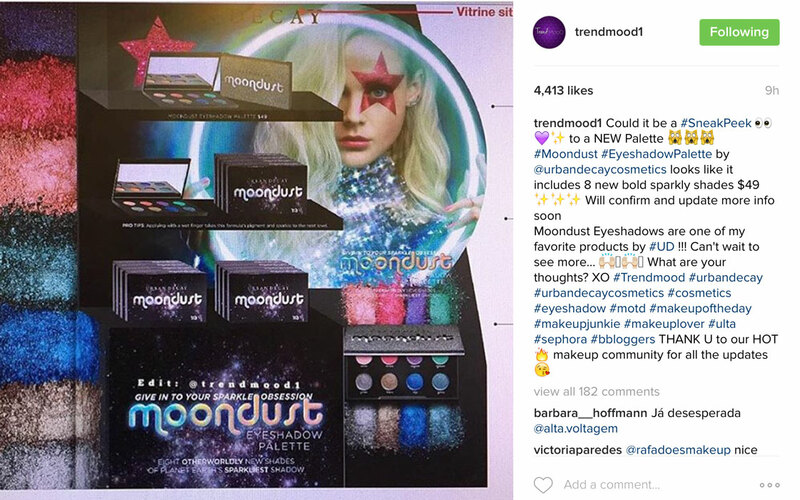 It looks like Urban Decay will be bringing out a Moondust Palette including eight new Moondust shadows. 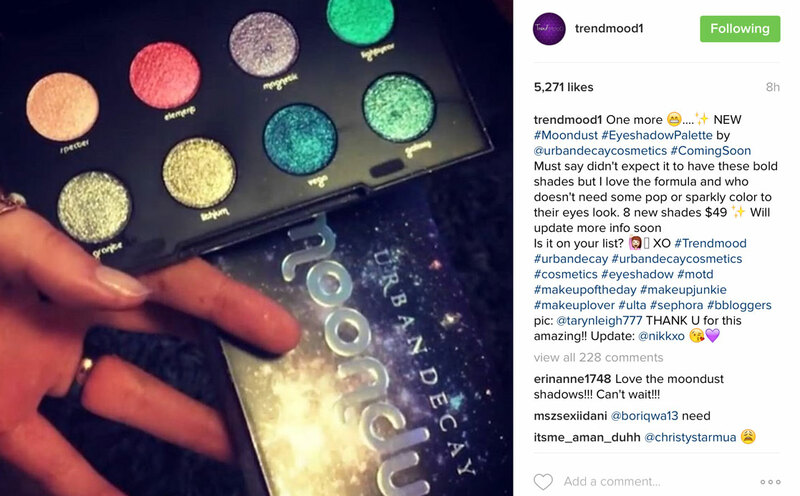 If you’re not familiar with Urban Decay’s Moondusts, you can check them out here – they’re basically super sparkly pressed eyeshadows, with microfine sparkle and a high shine metallic finish – they really are amazing! 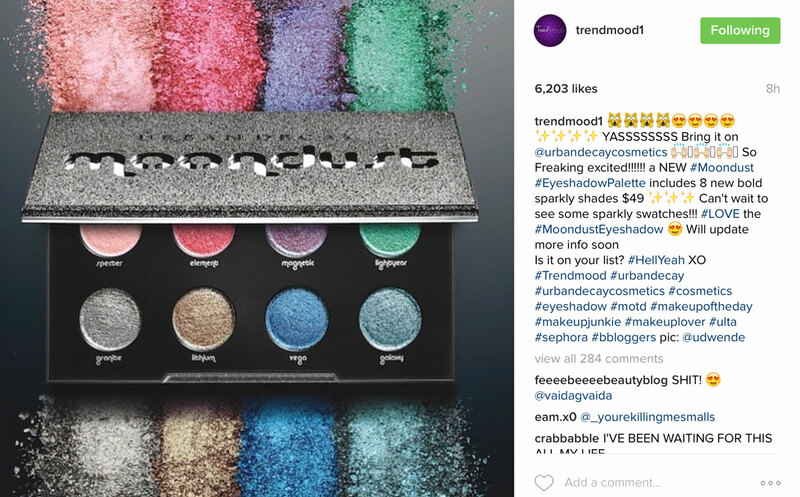 I’ve been trying to find as much info out as I can, but all I can really see are these posts on Trendmood1’s Instagram page – I highly recommend you follow them as they’re always one of first with the hottest beauty news and gossip! So what do you think? Are you as excited as me to find out more about this palette? Next Post The NEW Models Own 500 Piece Collection!